After a highly successful inaugural event, the Heveningham Hall concours 2017 takes place from 7th to 9th July 2017. Heveningham Hall Concours 2017 – What’s on? Brand-new for 2017, the Suffolk Border Tour, takes place on Friday 7th July. The Suffolk Border Tour features a number of the Concours cars taking to the road to complete a 50-mile route around the Suffolk countryside. Along the way drivers stop for a ‘hillbilly barbecue’ lunch, before returning to Heveningham for a black tie dinner to kick off the Concours weekend in style. 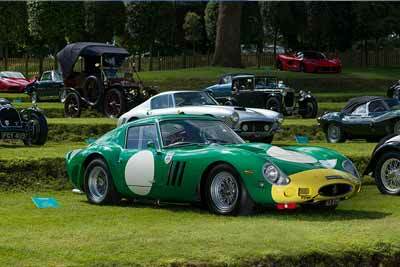 The Heveningham Hall Concours is once again held in association with Bonhams auctioneers. The display features around 50 of the most prominent pre and post war cars in history. One of the cars already confirmed (and not to miss) is the new LaFerrari Aperta. Ferrari’s latest hypercar mixes a 6.2-litre V12 engine with hybrid-electric motors, powering the Aperta from 0-62mph in just 2.9 seconds and on to a top speed of 218mph. Pretty rapid, especially with no roof! Alongside the LaFerrari will be the new Ferrari F12 TDF, legendary McLaren F1 and a McLaren P1 GTR. Many more cars will be announced in the run up to the event. 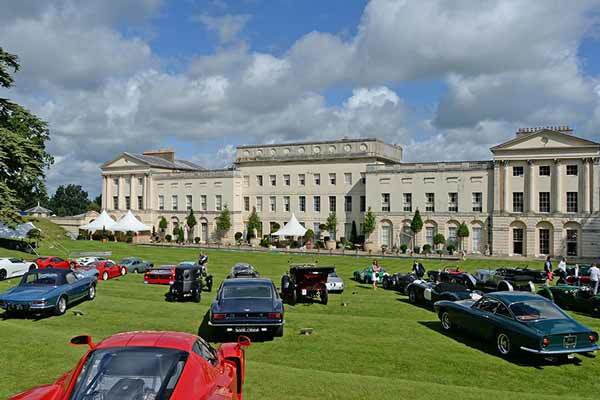 The Concours, takes place in the 5,000-acre estate’s Capability Brown parkland. Trophies will be awarded in the pre and post war classes as well as in the supercar class. The annual Heveningham Hall Country Fair typically hosts 20,000 visitors each year. The event raises money for village and school projects, church repairs, and individual cases of need, such as Halesworth Community Nursing Care Fund.